Previously, we released one issue per month in print and as a PDF. However, we will now publish work straight onto the Peeking Cat Poetry website – one author per day if we get enough submissions! We’ll then release print issues (bigger than our previous issues) featuring this work on a rolling basis, depending on when there is enough work to fill an issue. We’re open right now and ready to read your work! Please read the submission guidelines before submitting, even if you have submitted before, as these have changed slightly. For more information about why we were on hiatus, you can read my personal blog. 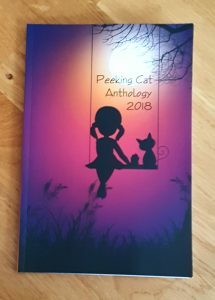 I’m very pleased to present to you the Peeking Cat Anthology 2018 – over 100 pages of poetry, prose and photography from 58 writers and artists! The book is available in paperback on Lulu.com and as an ebook, and it will soon also be available on Amazon. Thank you very much to all of our contributors, readers and supporters. It has been a slow year for Peeking Cat while the magazine has been on hiatus, and we’re likely to still be on a break until the end of the year. I do wish I could have offered all the live book launch excitement, interviews, readings and competitions we did last year – but as I am recovering from an operation and awaiting another one, I didn’t want to put myself under too much pressure this time around. Despite all this, I’m very happy that we have managed to get the anthology out – and in good time to make a great Christmas gift for any literary lovers in your life! I hope you enjoy the book, and I am very grateful for your patience while we have been responding to submissions and working on putting it all together. As always, it is a pleasure working with everyone and we do have a great community within the Peeking Cat family. However you decide to read the anthology, please leave us a review wherever you can, and tell your friends! We look forward to accepting submissions for the next anthology, and hopefully the magazine, too, in the new year. Hi all! This is to let you know that we are currently closed to submissions for both the magazine and the anthology until further notice. I will still be working through the submissions that have already been emailed to me, but I’m not sure when the next issue will be released. Apologies for the delay in getting back to some of you, and thank you for your patience. This is a short note to let you know that due to editor illness, I will be changing the publication schedule for Peeking Cat Poetry Magazine. Instead of publishing at the end of the month every month, as of now, we will be working on an as-and-when basis. This means I’m not sure when the next issue will be released, as it all depends on my capacity to work. We might continue to publish on a monthly basis, or it might be more sporadic than that. Hopefully this is just a temporary measure, but as I’m sure you understand, life does unfortunately get in the way sometimes and priorities need to be changed around a little. Magazine subscriptions will be paused and subscribers will be refunded for the upcoming magazine. Anthology submissions will still be looked at but we might not hit the October deadline for publication. We will just have to see how things go – I’ll keep you all updated as and when things change. Thanks for your patience! Peeking Cat Anthology 2018 Now Open For Submissions! It’s that time again – we are now accepting submissions for the Peeking Cat Anthology 2018! Send up to three poems and two stories in one email – either in the body of the email or as one attachment. There is no limit on how much artwork you can send. Please clearly indicate whether your submission is for the anthology or the magazine when emailing us. To find out more about the anthology, take a look at the 2017 edition. 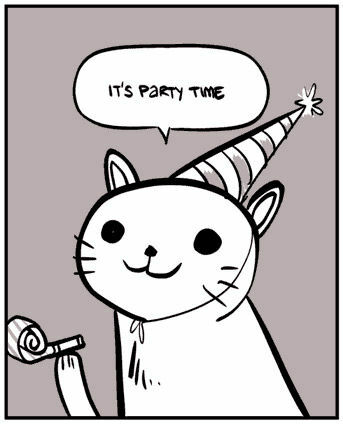 Welcome to the New Peeking Cat Website & Forum! You might have noticed we’ve had a bit of a facelift around here. I’ve moved the website from Blogger to WordPress, which means we have an exciting new addition to the website – a forum! I tried to keep the website as similar to the old one as possible because we still need to have all the same pages and blog categories, and I also love our background image kitty with those striking blue eyes. So I hope it’s not too much of a change for everyone, but I am excited that we have our own dedicated place on the site where we can chat. One of the best things about Peeking Cat is the community, and that has been particularly apparent in the past couple of months when we had our first ever online book launch. The forum is a place where everyone can talk about writing, get advice, share work in progress, and meet new writer friends. It’s also a place where you can find out the latest news from Peeking Cat and let me know what you would like to see on the website and in the magazine. Who are your favourite Peeking Cat poets? What do you think could be improved? And there’s a final area where we can chat about anything else that doesn’t fit in the other forums. You need to create an account to start chatting in the forum, which only takes a minute and you can do that here. If you’re wondering what to do first, start by introducing yourself and saying hello to everyone else in the welcome forum. I hope to see as many of you as possible there! 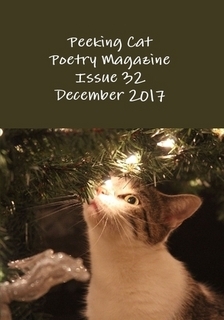 Issue 31 is here, and now available to read right here on the Peeking Cat Poetry website! If you enjoy reading the magazine, please consider buying a print copy for only £2.99 excluding postage. How to download: Click on the arrow icon in the top right-hand corner of the PDF below to open it in a new window. In the window that opens up you’ll see a download icon in the right-hand corner. Peeking Cat Anthology 2017 Online Book Launch Roundup! Hello all! As promised, here is a roundup of events from our first ever online book launch! The launch took place on Sunday 15th October for two hours, and it featured interviews, competitions, and more to celebrate the launch of Peeking Cat Anthology 2017! If you missed the event, don’t worry because not only is everything on the Facebook page, but I’ve put together a summary of everything that happened, right here. Peeking Cat Anthology 2017 Out Now!